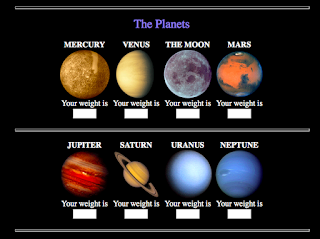 Here are the websites I shared with you today about your age and weight on other planets. I've also attached a copy of the lab we did today where we made a scale model of the solar system, in case you wish to do it at home (be sure to get permission to use the toilet paper first)! See your weight on other planets! 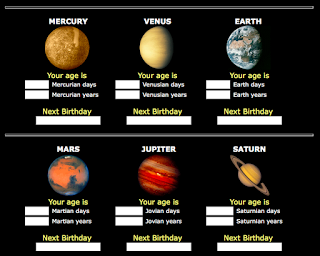 See your age on other planets!